How to Write Job Description like a PRO? Have a catchy job title or subject line that is optimized according to candidates search. Do not use the acronyms or job title which are used in the company. The key is to keep it short but informative with the use of words that the candidates are likely to search in order to find a job. The Job description should ideally be of 300-500 words in length. The 2 lines job posting is not candidate friendly. You need to write a mixture of employment and culture content with information of Job, team, role and responsibility. The Job description should include bullet points and headlines which help in making it easier for the candidate to read it. Bullets make it easier to read and skim as well as lay emphasize on the exact point. The job description should accurately depict the exact nature of the job as well as its responsibilities. It should be engaging, relating and should compel a specific candidate to apply for the job offering. Search engine optimization (SEO) have words which are commonly used to search. 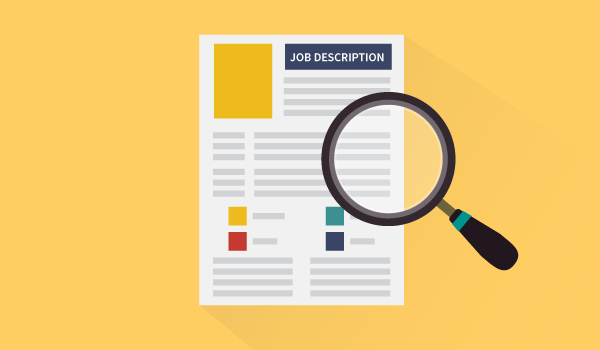 The Job description should contain keywords and abbreviations which are commonly searched so that your description appears in the first few searches. The Job description can be as unique as the recruiter’s efforts to fill the company’s roles. There are some companies who train the recruiter on writing and publishing job description or gives the responsibility to a single member of the team who will write, edit and publish every job description. It is very important to first decide a template and style guide to ensure consistency. A style guide is made to make sure a common font, color etc.